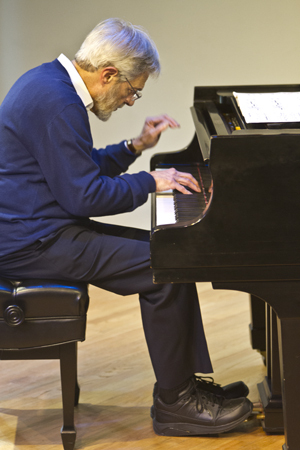 "In April of 2016 I had the privilege of hearing his last faculty recital before he retired from the University of Michigan. His playing was spectacular. After hearing that performance I will add PICTURES AT AN EXHIBITION to the list of performances that I remember. He “owns” the piece.——With his retirement he now has more availability for concert series, conventions and teachers’ organizations. I give him my highest recommendation!"